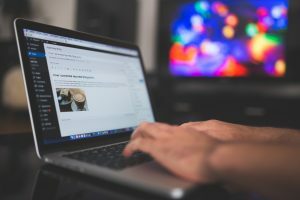 Creating quality and interesting blog posts is a great strategy business owners use to attract people and promote their businesses. But nowadays, it is also a smart and important practice to apply SEO to your blogs to boost your online visibility. By having SEO-friendly blog posts, not only will your audience engagement increase, your visitors or traffic and search engine rankings will also likely skyrocket. A good content can easily be ruined if you stuff keywords into your blog post. Read your sentences and check if you’re using your focus keyword too often. Remember that you’re writing your blog not just for SEO, but more importantly for your readers. Make sure your content has context and feels natural with the keywords. You can try incorporating alternate terms or synonyms, so your blog is still nice to read. Your goal is to write an SEO-friendly blog for people, not to create content that only a robot would appreciate. Be aware of your writing tone and style. Make sure it is appealing, enthusiastic, and engaging. It shouldn’t be awkward, stiff, and boring. Be creative and mix things up a little. Use short and long sentences and paragraphs, examples, and expressions to make your blog post fun to read. Building links can help improve your site or blog’s ranking. However, you should be sure that you’re only getting top quality, free links. Don’t spend your time pursuing links that are poor quality and unnatural. Never buy links to manipulate PageRank, as well, if you don’t want search engines to penalize your site or blog. If you have a great piece of content in the first place, people will likely share it and you’ll earn quality links easily. Avoid duplicating multiple pages or rewriting content with the exact same keywords without using a canonical URL if you really want to boost your SEO. Not doing so will confuse the search engines and could hurt your rankings. You can also use some WordPress plug-ins to tweak your SEO settings so your content won’t appear too similar for the search engines. Copying content that do well on search engines and posting it on your blog may sound like a good idea. It will probably work if you only get a small amount of content, but copying and pasting the whole content or large portions of it without adding your own unique content won’t be good for your SEO efforts. Search engines will only likely push your content down the rankings. These are just a few tips that can help you utilize SEO to improve your blogging efforts. Apply them and the search engines will love your blog posts. When this happens, you will get more traffic and reach higher rankings! Our virtual assistants can help you write quality SEO blogs. Take our free five-hour trial now to find out how! Infographic: What is the Perfect Blog Length?